How to identify a causative agent of a corporate disease ? If the PT CGE can be utilized as for purpose of (“geometric value based” ) identification of disease and treatment, which tools are necessary for assessment of causative agent and definition of a CGE? What means health in terms of corporate culture ? leadership and governance ? Are the SDG2030 (Sustainable Development Goals) giving a reference on healthy-culture ? 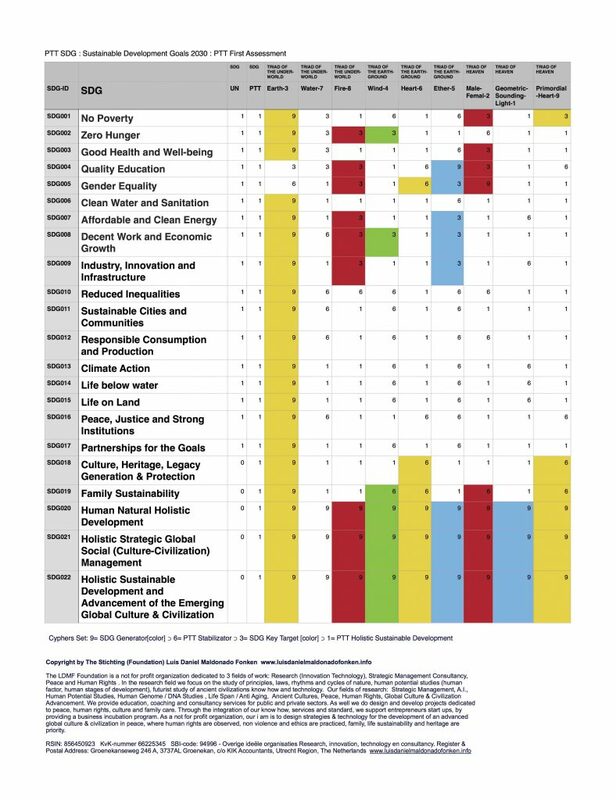 What is the difference between Holistic SDG Assessment and Wealth Based SDG Assessment ? How to describe the DNA, CGE, of an organization ? What is the difference between non profit, social, SDG, governmental and for profit organizations ? Are two political parties that aim for well being of their respective nations, described with the same geometric pattern of their respective CGEs ? Do all corporations that mine for diamonds, gold, sylver or chemical elements, have the same CGE (culture)? Are all wealthy cities sharing the same CGE ? Which is the CGE of an education organization, like an university ? Does it matches with the CGE of its respective national current government or with that one of its millenary culture or with that one of a corporation ? Which are the differences between CGEs of universities and CGEs of corporations, political parties, cities, networks, clans and hospitals ? If we are looking for a global sustainable future, which is the CGE we envision in that particular future ? A general knowledge on epidemiology and immunology is necessary for the understanding of the articles and presentations on CORPORATE IMMUNOLOGY. 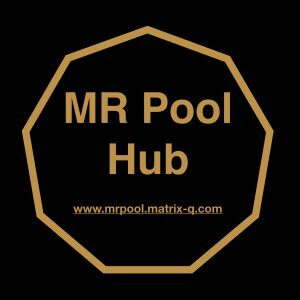 The following quotes have been collected for purpose of making for the reader an easy access to some terms, guidelines and information related to Immunology and Epidemiology. The reader, for further studies should refer to scientific and academic publications related to both main topics. The references for the following quotes are easily accessible for readers through wikipedia list of references, under the titles: Immunology, Epidemiology , Disease, Pathogen, Pathology and related terms and their respective references. 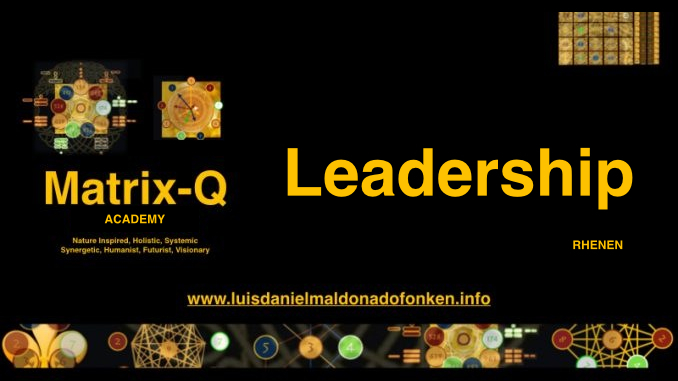 By Luis Daniel Maldonado Fonken, Strategic Management Consultant, Coach, Trainer. 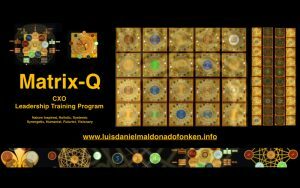 Developer of the Matrix-Q Assessment Tools and Holistic & Quantum Strategic Management Methods, Corporate Immunology Studies and Applications. 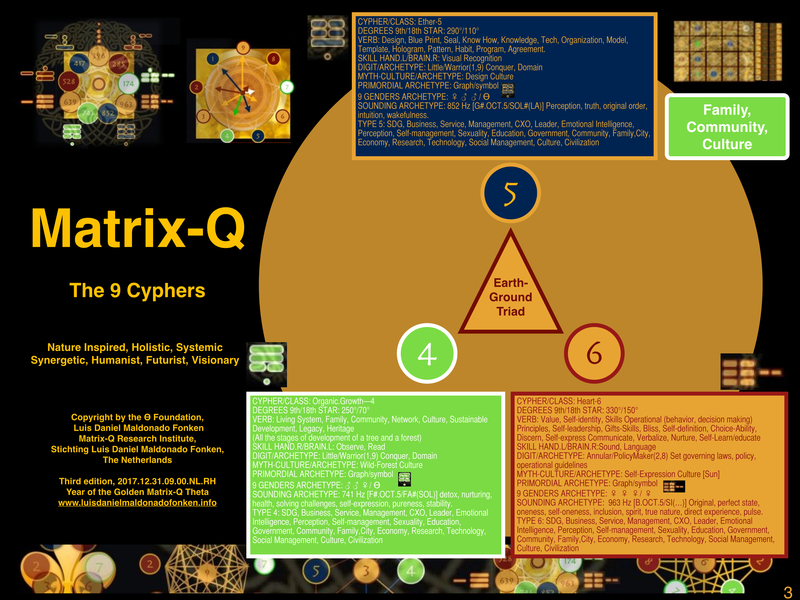 The researcher suggests that the causative agents can be identified through CGE Geometric Patterns, Series of Cyphers and Tones, which would describe a particular causative agent. Once status, impact caused by the CGE on the complex life system of the organism, its immune system, and potential evolution or development, risks has been identified, strength, weaknesses, a preventive intervention can be planned and implemented. 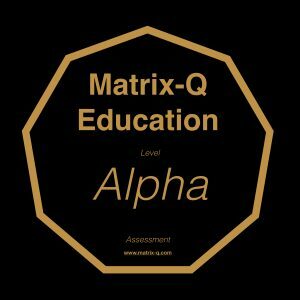 Matrix-Q Tools for assessment will be introduced, case study examples. Applications of the methods utilized in other fields and disciplines will be listed. 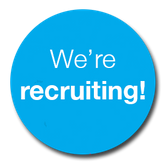 As well as references for further study, training, services, licenses and certification given. The identification of an illness or malfunction of an organism is only possible if exist a reference on a healthy organism. Year 2017, the United Nations suggest a list of 17 goals, aiming to global sustainable development, which clearly set a reference regarding a status of the development of nations, cultures, and their economies, quality of living and wealth generation capacity, knowledge, technology and capacity of implementation or application of them; and that wished aim of a global sustainable world, of a leadership capable to globally work together towards common aims. The UN 2030 SDGs, are an invitation to organizations that influence the cities, regions and national households, quality of living, to participate. In General, the perspective suggested is that, so far, after 1000s of year of trading, business and progress, the quality of living in the world, global perspective, is not at the standard that should be, regarding the knowledge, values of an advanced global culture and civilization. In that sense, all stakeholders, receive indirectly the question on: how do their business collaborate with the 2030 SDG achievement? I personally think, that a reference to what should be considered as healthy, does not have to be given by what have been already accomplished (only), but by what is obviously not there, and it is necessary. If the reference would be only: How much money an organization, city, community makes and how high is the cash flow and consumption of resources, if is an active robust agent for a healthy economy? for example, then there are 8 other fields of assessment in which important questions has not been made nor answered. In that sense, holistic strategic management, suggests a wider spectrum for assessment and identification of issues, that if correctly addressed, would not only advance the performance of the Global Sustainable Development stakeholders, but also help them increase their wealth and do use of it, accordingly to the global needs of Sustainable Development. The identification of a causative agent or pathogen, is essential for immunology studies and for the identification, choice, of necessary associated therapies, treatments or medicines. In the cases of viruses for example, bacteria or parasites, as pathogenic organisms, is possible to identify them through patterns, forms, behavior, molecular structure, for example. A virus is for example: “an infective agent that typically consists of a nucleic acid molecule in a protein coat, is too small to be seen by light microscopy, and is able to multiply only within the living cells of a host”. Viral populations do not grow through cell division, because they are acellular. Instead, they use the machinery and metabolism of a host cell to produce multiple copies of themselves, and they assemble in the cell. (See replication cycle, general information). 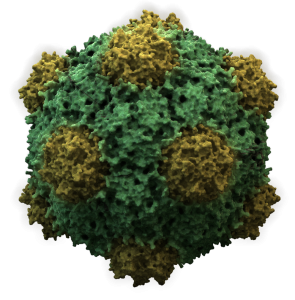 In this case, it is remarkable that the molecular structure of viruses can be represented through clearly geometric structures. But not only viruses, any organism has a geometrical blue print thanks to which is their identification and comparison between species possible (See: Taxonomy). For example human being can be visually recognized and if compared with any other walking organism on earth, for example a duck, a bear, a horse or a lion the visual differences are obvious. 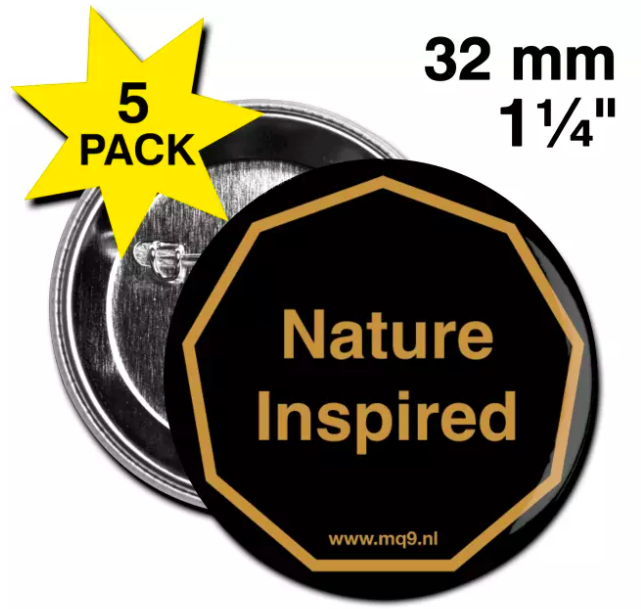 This idea apply from micro organisms, to bacteria, molecular structures, and down to DNA. By utilizing PTƟ Primordial Mathematics methods for description of CGE Culture Generation Engines, through use of segments or vectors within the 9-Gon, Polar 9-Gon, and 36-Gon (Seal) geometric structures, it is possible to describe a CGE through a geometric pattern. A CGE or Culture generation engine, is a systemic representation of relationships and interaction between 9 classes of natural, human and artificial phenomena. Each culture has one, eventually developed by the culture generators or by the subconscious collective mind which evolved in a precise time and geo location settings. The CGE applied in any community (Organization, network, city, community, family, nation, government) will induce in its human collective perception, behavior, value, decision making guidelines, operational guidelines, costumes, meaning, language and others that define a culture. In other words, the blue print, DNA of an organization, its culture, can be represented through a CGE and its respective geometrical value; and the repetition, practice of this pattern, (algorithm), would re-shape or shape the culture. 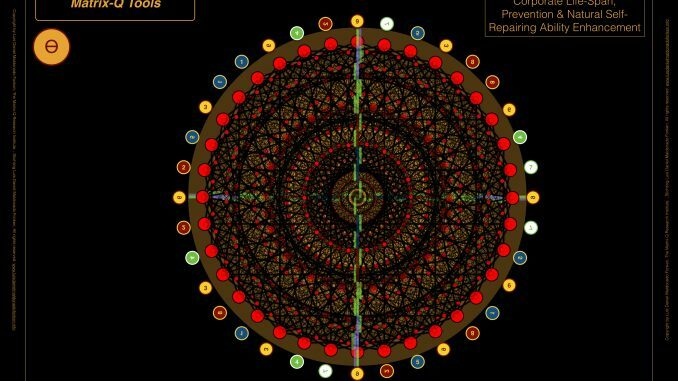 A CGE as a pattern also represents an Algorithm, a sequence of steps, that create a particular outcome, which, if repeated, would become a pattern, within a collective of humans. 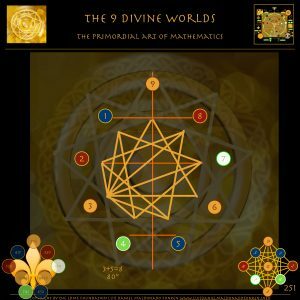 For example if individuals always prefer to face frustration through scape, or complexity with fear, both cases could be represented in PTƟ Primordial Mathematics with a particular pattern, geometric structure and through a dynamic process (algorithm, that defines the pattern). The PTƟ Primordial Seal would be in that case the representation of pure complete focus of a human self-organized collective or cluster, on one particular class of phenomena and its complementary element. 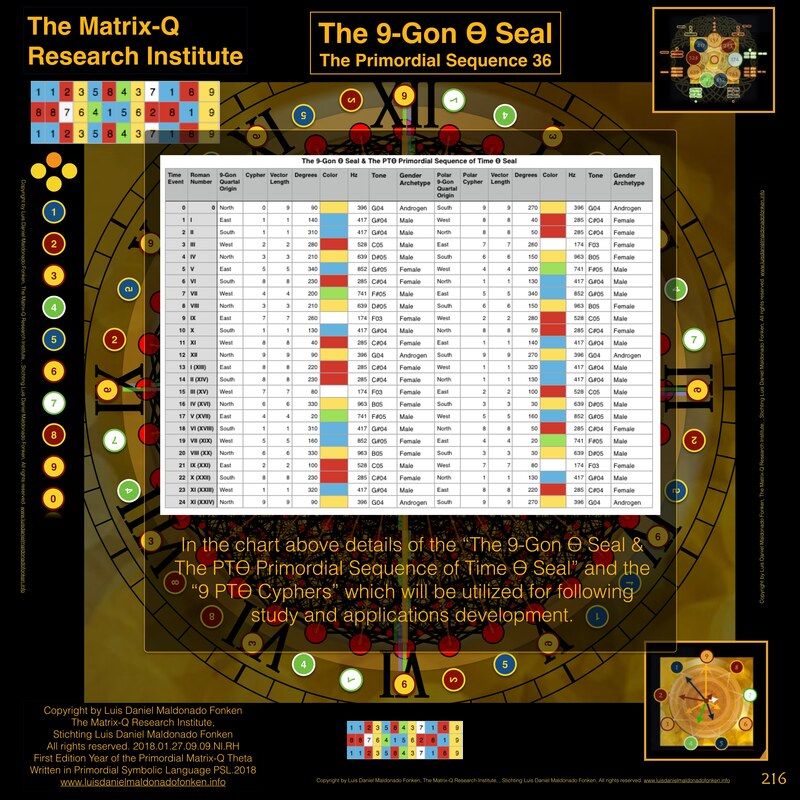 Represented for example by 9+0 seals in the image below, or by a sequence of cyphers, in the image below. 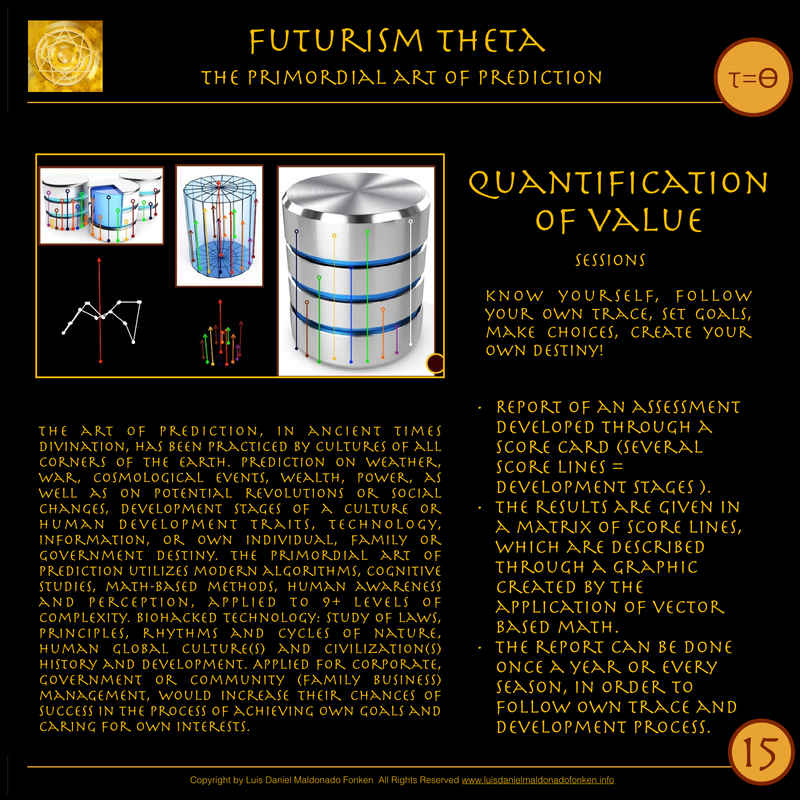 For example, the PTƟ Primordial Sequence, has a geometric representation, or geometric ID, which can also be represented, by utilizing the knowledge of the PTƟ 9-Cyphers by tones and frequencies. Itself, is also a PTƟ Primordial Algorithm, a sequence of steps, that if followed in precise order, will generate an outcome. 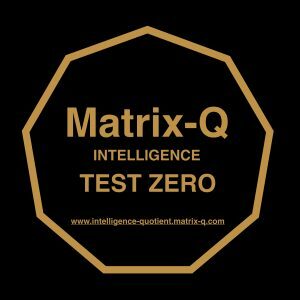 Its applications are currently being studied by the Matrix-Q Research Institute, the Netherlands. If perceived as a CGE, it suggests not only a sequence of steps but of focus for perception, behavior, decision making, judgement of value, and regions of intensity (9 Spheres) the focus will be addressed at a particular time. 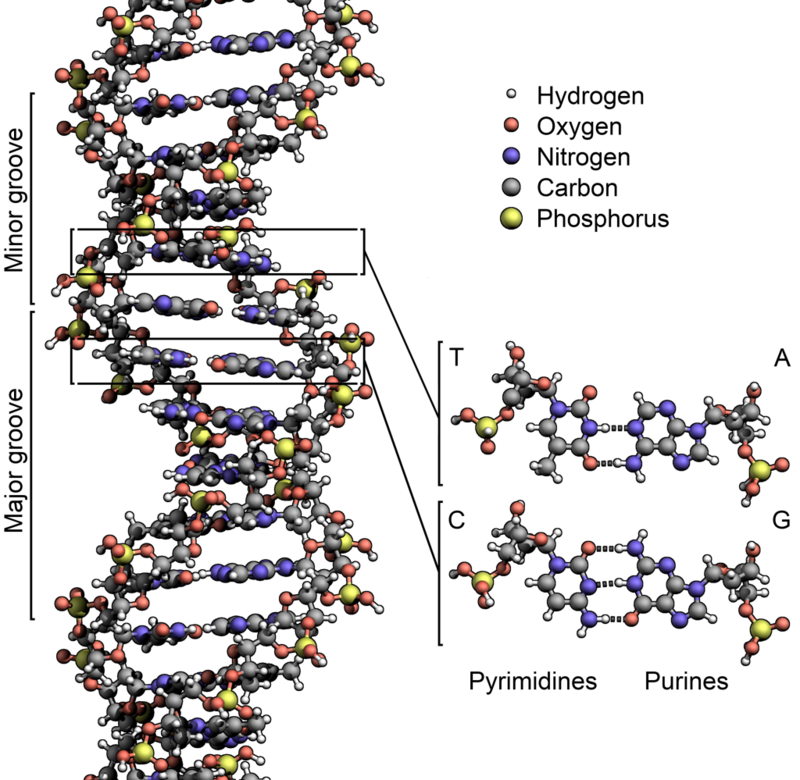 The PTƟ Primordial Sequence CGE give us a great variety of information, on a particular structure. In the same manner, can be registered, after assessment, patterns that describe any CGE. Patterns which are more or less complex, and that serve as identification, description, of a particular causative agent. If this causative agent is capable or will induce a disease in the host (the collective human organism that nurtures and ensures its existence) must be decided after an assessment process. Some causative agents may be beneficial for an organism, in the case of corporate immunology, the capacity of an organism (collective human organism, which is the human capital of the organization) to produce an antivirus, for example. The antivirus may be represented through a geometrical pattern. For example: A virus in an organization, could be: “a judgmental attitude towards the CEO, and its office, every time a frustrating issue takes place along the business daily process, inducing the association and later perception in employees that the cause of the issue is the CEO. ” If this attitude is transferred as a costume in the culture of the organization and induced by jokes or comments, into every new team member or area of the organization, the emotional capacity of the employees, to communicate and collaborate with the CEO will change along a period of time negatively. As a virus, reproducing itself in every individual of the organization. For example, as above, if the complain is not towards the CEO, but to the intranet Platform, which is eventually not user friendly or on the contrary very helpful but for which a training is necessary. The two cases above could be described, if apply, with two respective geometrical patterns, and series of cyphers. In this article/presentation, the researcher suggests that the causative agents can be identified through CGE Geometric Patterns, Series of Cyphers and Tones, which would describe a particular causative agent. By definition a CGE is already a causative agent. 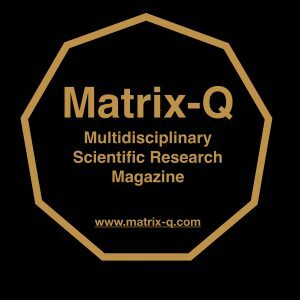 The researcher has suggested in previous publications the use of a particular CGE makes it possible to induce perception, behavior, decision making and operational guidelines, into a human cluster, or human dynamic, structure or organization. An organizational culture that follows business culture guidelines, finds the data related to its CGE in its corporate culture definitions documents. The same apply for family business or clans, if the CGE of the clan could be identified. 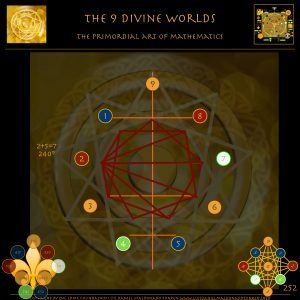 Data and careful assessment is necessary in order to describe a CGE, through PTƟ Primordial Mathematics. In particular a futurist assessment will help the user identify traits and their impact, on the development of the organization, and its future. Once status, impact caused by the CGE on the complex life system of the organism, its immune system, and potential evolution or development, risks has been identified, strength, weaknesses, a preventive intervention can be planned and implemented. 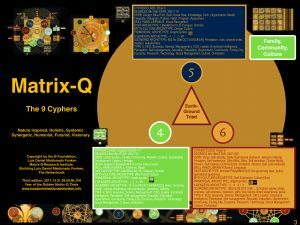 The result, as a preventive therapy, would be described as well with a CGE geometric structure, series of cyphers, set of tones, and other descriptive elements. At the year 2018, the presence of SDG Sustainable Development Goals, within the global emerging culture and civilization stake holders, creates an impacting question for the corporate culture. What is a business, organization, network, community, clan for ? Why does it exist, and to whom it serves ? The human species, some humans, a culture, a point of view, a definition, a belief or life itself ? Within this context, the The Matrix-Q Assessment Tools give us the possibility to describe what are stake holders aiming to, or talking about in their PR or through their services, products and plans, strategies and governing policies, operating guidelines, aims and their organizational culture. If the PTƟ CGE can be utilized as for purpose of (“geometric value based” ) identification of disease and treatment, which tools are necessary for assessment of causative agent and definition of a CGE? The following geometric values have been introduced in the first book of Primordial Mathematics: “The 9 Divine Worlds” also included in the PTƟ Primordial Mathematics Books Collection. Each geometric structure in this case belongs to one of the 9 PTƟ Cyphers. 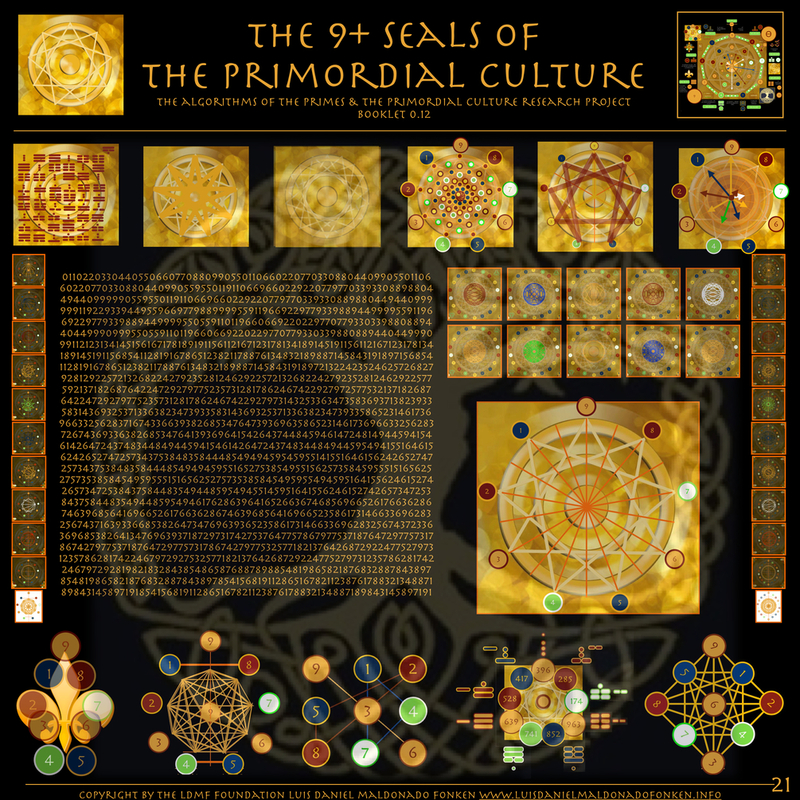 In following chapters of the same collection, the researcher will describe how to generate seals and later on, as for in the publications related to the PTƟ Primordial Sequence, how to utilize the PTƟ Seals. If one of the above geometrical values is taken as for purpose of representation of a CGE, just one of them, we could understand that such of a CGE has unidimensional focus in one particular cypher alone. Above the 9 cyphers has been described. By the cypher 6, as below described traits. 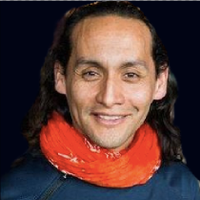 A second case could be that of an organization for which organic growth is essential, and for which land, family and community are the main aim, like for example Permaculture movement, or the modern Anastasia Movement in Russia with 1 hectar property that can feed a family. Both also alternative movements highly related to the new age approach, as for its leaders may be next generation of the flower power communities. 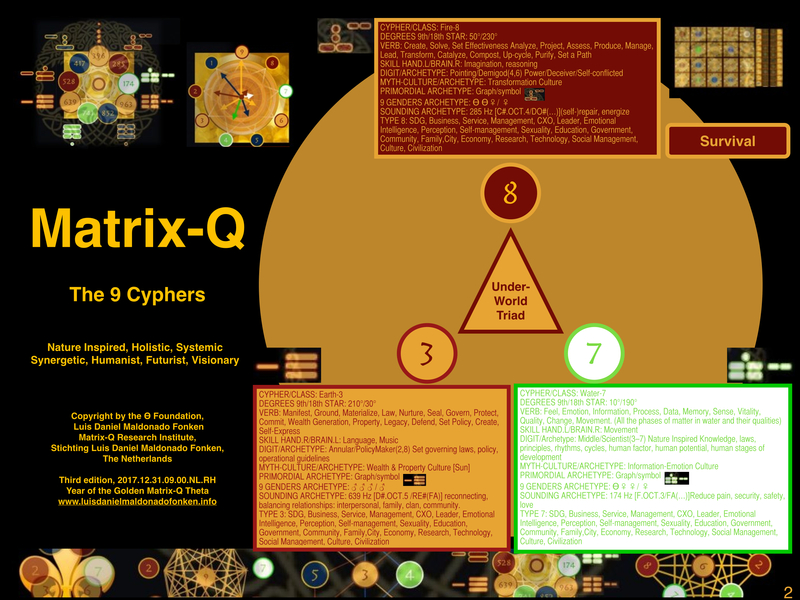 Both patterns above combined would for example describe them, and the traits of the cyphers 4 and 3. 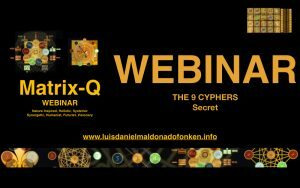 But for example, for an organization like a bank, which is mostly focused on wealth, property and money, the following geometric pattern may define its key behavior and the traits of the cypher 3. In the three cases described above the unidimensional or bidimensional focus limits the holistic development of those particular organizations. 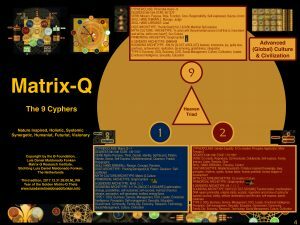 A preventive treatment, that follows the necessary assessment, would eventually need to focus first into identification of weaknesses found in any of the other 8 or 7 fields of the cyphers not included or not perceptibly included in their respective CGEs, leadership and strategic management. 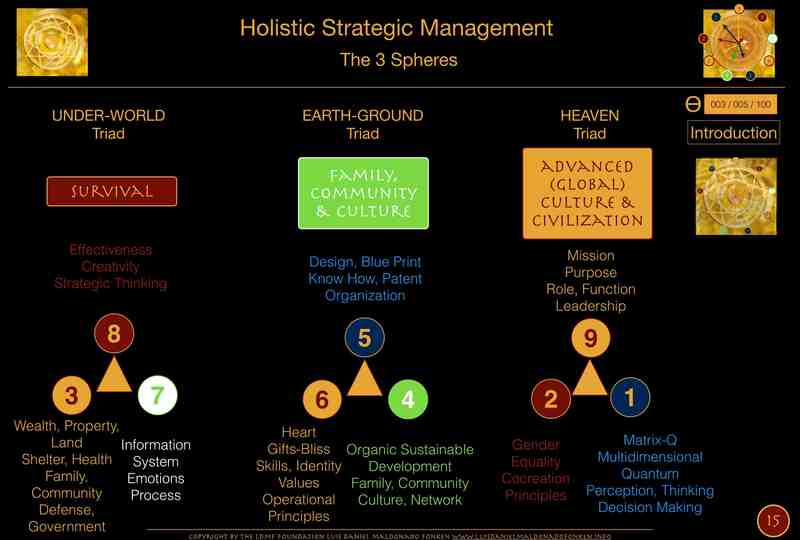 How can an organization, network, community, excel in the 9 spheres of holistic strategic management ? If the following pattern would be found, in the behavior of an organization, would be a PTƟ Seals type of geometric value, more complex than those above, as it has been generated by the use of 4 x 9-Gons, and the PTƟ Primordial Sequence of Time. 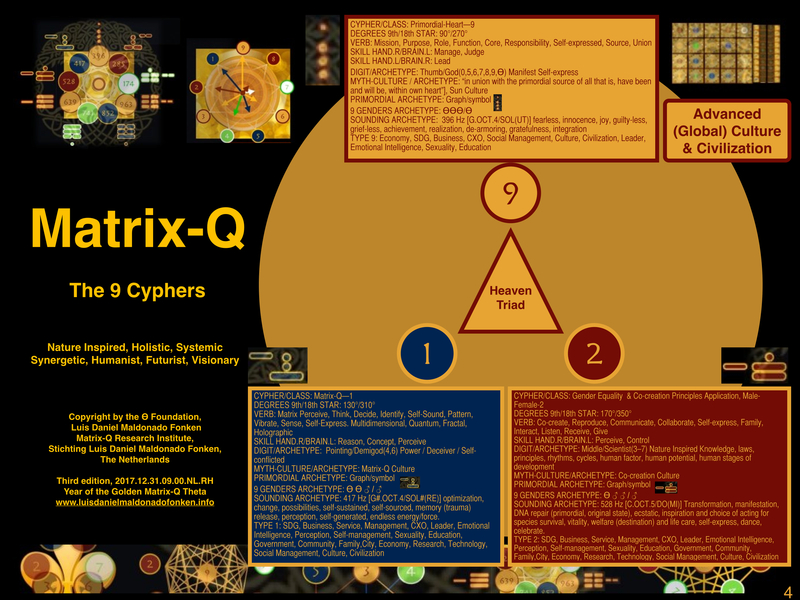 which involve the use of 36 cyphers sequence, for example. The PTƟ Primordial Sequence, generated out of a translation of the Fibonacci numbers by utilizing PSL.2018, is now being studied by the Matrix-Q Research institute as a PTƟ Primordial Algorithm, with time reversible properties. Use of PSL for interpretation of the CGE, is necessary. 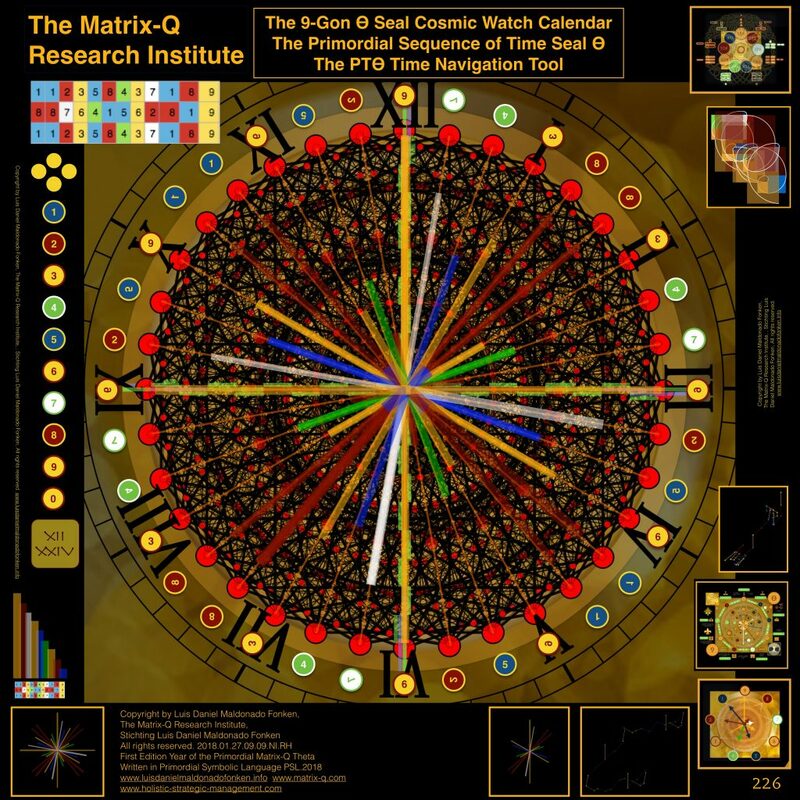 For which the Matrix-Q Research Institute has made available a series of courses online. PSL: PSL — Primordial Symbolic Language, is a form of symbolic language that utilize nature laws, principles, cycles and rhythms;, knowledge on human stages of development (human factor), and nature inspired knowledge of ancient cultures and civilizations. In this case, PSL has been utilized for purpose of self-coaching, mentorship, in self-management, self-leadership field of work. This is one of the intents by the researcher to utilize PSL as it has been used traditionally by ancient civilizations. 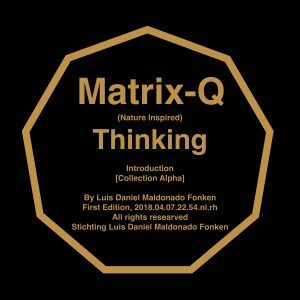 The PSL encoded language has a matrix 9+ field of meaning, Matrix-Q Language; the meaning need to be understood by approaching the message from several perspectives (matrix 9+, Matrix-Q) simultaneously. The researcher has developed experiments on PSL, Groundbreaking communication, PSL applied for self-management, strategic management, coaching, and published those e-books and articles. All of them available now at the e-library of the LDMF Foundation: http://e-library.luisdanielmaldonadofonken.info/e-books-directory/ PSL is utilized at several research fields, as it allows communication with cyphers, encoded language, and is being utilized by the researcher for the development of a A.I. Engine Programming Language. (Artificial Intelligence). 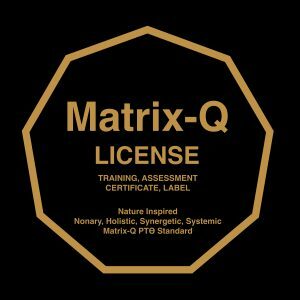 Consultancy, Assessment, training and coaching services can be implemented, once the providers are able to utilize the Matrix-Q Tools and use PSL properly. Leaders, SDG Entrepreneurs, Educators, Researchers, may as well learn how to utilize these tools, for their own benefit. Other more complex examples and cases could be described here, for which new geometrical patterns would be generated. 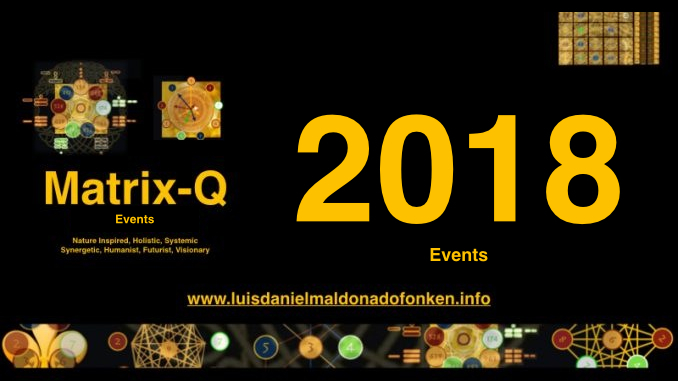 In particular the researcher is dedicated to the study of those patterns in cultures, nature inspired knowledge of ancient civilizations, but as well in modern culture organizations, networks, corporations and in particular cities and SDG Organizations/Projects. 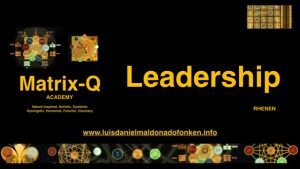 One of the researcher main goals is to make the Matrix-Q Tools available for consultants, coaches, trainers and leaders, in particular for SDG Entrepreneurs. An index of pathogens, causative agents, and associated set of conditions, environmental and immunological will follow in the publications being prepared. 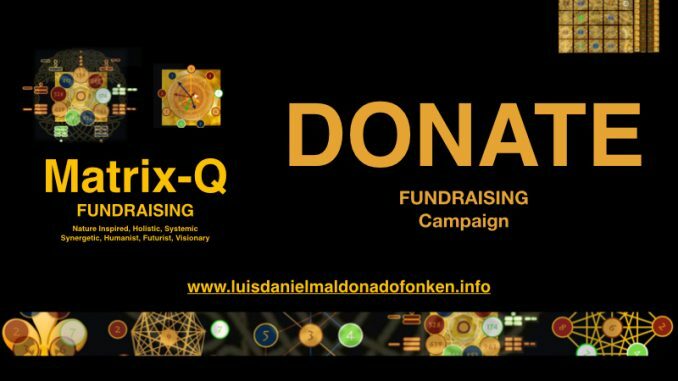 One of the first publications in this intention, is the book dedicated to SDG11: Sustainable cities and communities, in which Matrix-Q Assessment tools will be demonstrated, Project Management, Leadership & Effectiveness through Matrix-Q Tools enhanced, Holistic Strategic Management, Quantum Strategic Management and Corporate Immunology Tools will be applied. Prevention is the most un-expensive and necessary practice for keeping the immune system strong and capable of self-repairing, managing stress and reducing as much as possible the impact of aging. 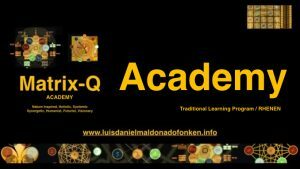 In particular the Matrix-Q Academy training programs focus on enhancement of human factor, human capital, and organizational structures, design, and culture, for the purpose of advancement of effectiveness. The result wished through these practices is as of immune system performance enhancement. 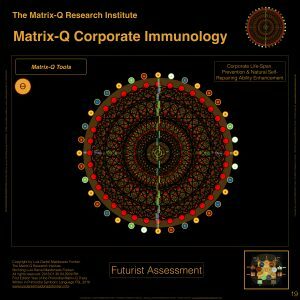 As for this article presentation, it should be clear the correlation between human complex living system immunology and corporate immunology. The Matrix-Q Research Institute www.matrix-q.com provides a training program dedicated to expand leaders and consultants perception, through corporate immunology studies. The training modules focus on perception, language, function of human organs and tissues, and its related corporate areas, roles and functions, assessment tools, strategic management approaches, anti-aging, prevention, medicines and therapies, as for Matrix-Q Assessment tools, futurist prediction, strategic management consultancy, coaching, trainings and related products. 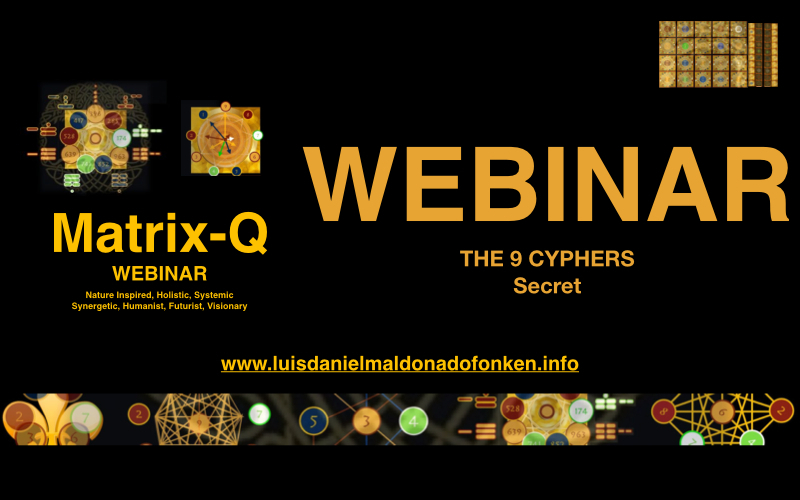 As for example, products that include Corporate Immunology Knowledge ate the Matrix-Q Leadership Training, The Matrix-Q Academy Training and The Secret of the 9 Cyphers Webinarprovided every season by the Matrix-Q Research Institute, online and in the Netherlands. Customers may reach the Holistic-Strategic-Management Consultancy service: www.holistic-strategic-management.com or contact us directly to: welcome@holistic-strategic-management.com.